Of course the name of the shawl is not really the Forever Shawl. I just named it that because I started it back in summertime and here we are in February and it’s finally knit, blocked and photographed. The real name is Carol’s Frequency. Knit in 2 balls of Schoppel-Woole Zauberball Crazy. The entire shawl is worked in short-rows and while there are no wraps there are floats. I am quite comfortable with knitting short-rows but I have to say this was a challenge. It upped my short-row knitting times 10. A life-line and stitch markers saved my sanity. The shawl was ripped back to the starting gate many times before I got the knack of where to place the life-line and how to count up to seven properly. The secret about the life-line is its placed only through the stitches forming the leaf shape currently being worked, not through the whole shawl. I am totally in love with the texture of the stitches and the graceful forms of the leaves as well as the way the yarn worked so well with the pattern. In short I am in love with this shawl and feel that I have accomplished something in my knitting it. The pattern is well-written. The only problem occurs in certain places where the short-rows form holes. I fixed this by simply picking up a stitch from the row below and knitting it together with the float and its stitch—3 stitches in all. It was easy to see when a hole would occur and I just made the adjustment. Now that this is finished I am at sixes and sevens about what to knit next. I don’t really have anything that is calling to me so I’ve begun “knitting around” like a tart. Some socks, two scarves, but nothing that is really satisfying like the shawl. I’d also like another project that works gradient yarn into interesting shapes as this shawl did. In fact, I am thinking of starting another one in Spring colors. The Skipper, who watched me rip back, cry, and moan over this shawl says I’d be crazy to knit another one again. Oh, mon petit cheri of course I am. I’ve been quietly rotating my knitting between three projects. Socks, the lace edging for the Rock Island Shawl (only 120 more rows), and a baby sweater. This last project is taking up most of my time as I’m playing with colors and short-rows (not the wrap and turn kind) while maintaining even row counts across the sweater for an even hem. The inspiration piece was an art deco bracelet I saw and just couldn’t get out of my mind. I loved the lines and the way they fit together. And so I’ve been swatching. I created a sweater that needed only one more sleeve to finish it, but decided to take it apart and start again. I’ve experimented with every short-row known to knitting. I instantly discarding the wrap and turn kind. 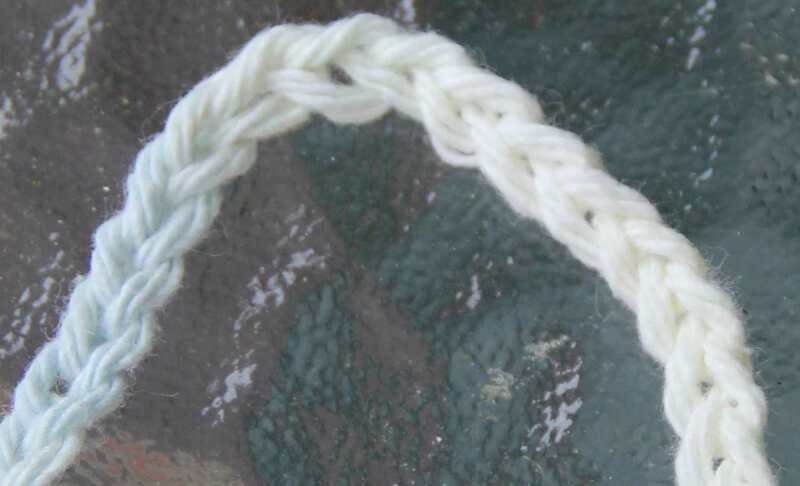 I tried home-made short-rows, techniques that are particular to individuals as they were passed down from knitter to knitter within the families for ages. 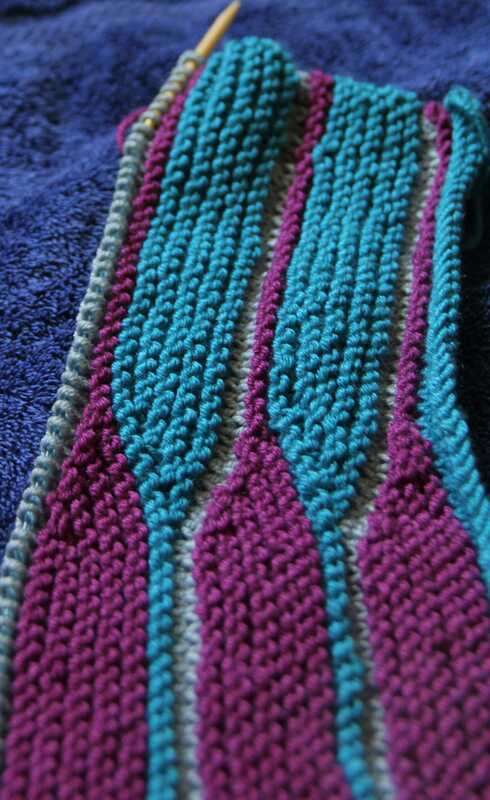 The non-wrap-and-turn short row I decided on works particularly well with garter stitch. So far here are the lines of my sweater swatch. They may go through another alteration as soon as I get some additional yarn I ordered. 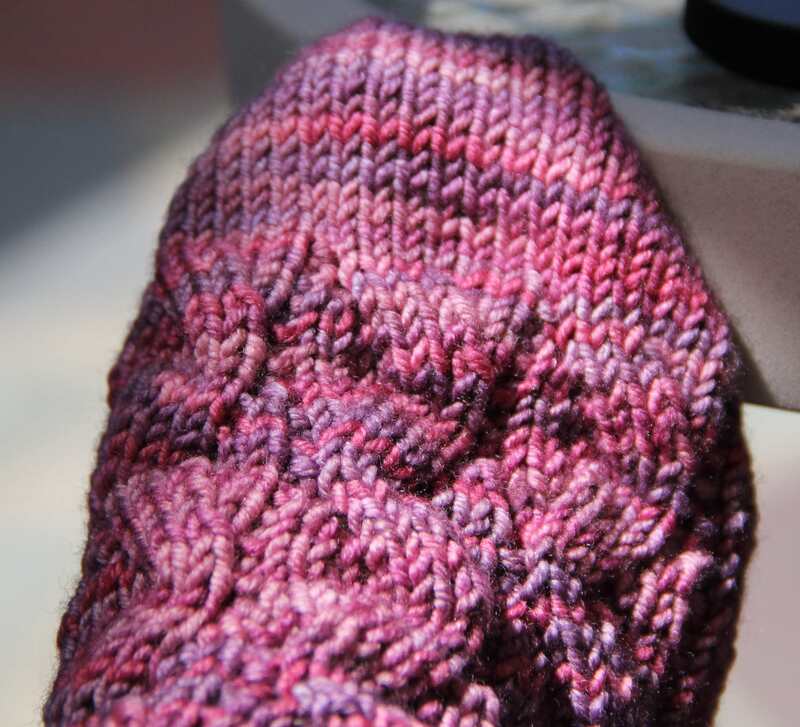 So today, I will work on starting and completing the short-row heel for the sock. In other news, a dear friend of many years who just finished her treatments for breast cancer has now been diagnosed with lung cancer. The cancer was found in a routine check-up and covers the exact area that received radiation treatment for the breast cancer. The common wisdom among oncology doctors is the destruction wreaked by radiation treatment doesn’t show up until 10 years after radiation treatment. My friend is a young mother with two lovely young children. She is not even a year past treatment. The news has hollowed me out. When she told me, my brain did the exact same thing it did when I was told of my breast cancer, it shut down, vacated the area. My friend and I were diagnosed with breast cancer at almost the same time. Her cancer was still contained. Mine was more advanced. It had escaped and hit my lymph nodes. She did everything the doctors told her to do. I didn’t. We had recently decided that together we were going to get past this cancer thing and stop living with its shadow hanging over us. We were going to walk away from it. She started an exercise and healthy eating regime. I had already switched all my eating habits but I changed my exercise routine to Tai Chi because I wanted the body, mind and soul benefit, a more holistic approach, a way to meditate while being in action. I also liked the big arm movements of Tai Chi and it all but eliminated the lymphedema in my arm and mastectomy site. It also helped stop the pains in my bones caused by the Arimidex, my little anti-cancer pill that causes so much havoc with my system. My friend and I were both feeling really good. We even mentioned to our doctors how well we felt. Cancer, it seems, has a very long shadow. Short-row construction in a knitted piece can strike terror into the hearts of many no matter how Lilliputian the row and duration. But short-rows can be quite effective in shaping, plus they can add an interesting decorative element to a knitted item. I’ve knit short-rows in hurricanes, earthquakes, floods, blizzards. 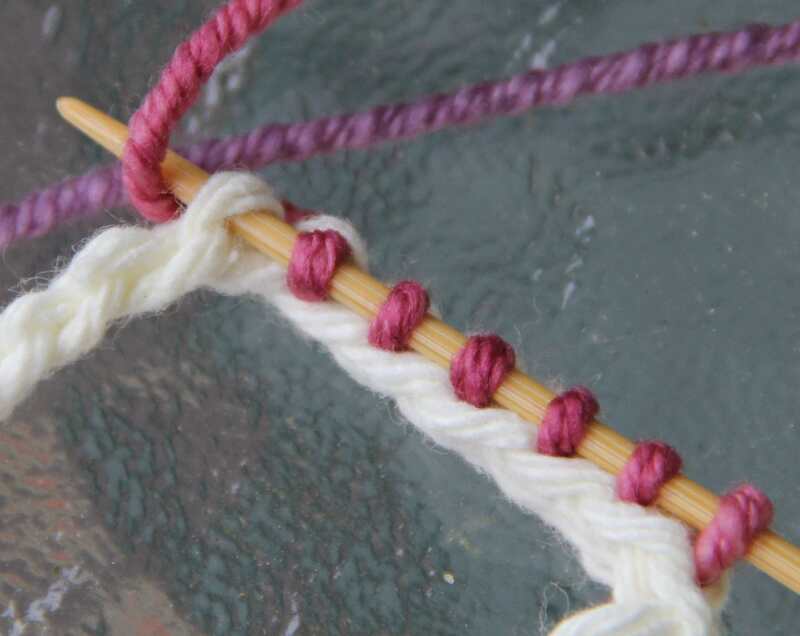 Short-rows are worth learning as is their caveat: what can go wrong will go wrong. 1) Since counting is crucial to successful short-rows, background noise like the business channel, the stock market channel, the sports channel, or any other channel on television or radio (do people still listen to radio?) where numbers are routinely mentioned is not compatible with working short-rows. They are the equivalent of the annoying “friend” who always sat next to you in math class only to randomly recite numbers in your ear so you lost count of the problem at hand. Instead, have a row counter handy to keep track of the number of stitches you need to knit on each row before the next wrap and turn. For example, if I have 25 stitches over which to work a short-row the numbers in the first part of the work will decrease by one after every wrap and turn: 24, 23, 22, etc. Use the counter to subtract 1 stitch each time you turn your work. The number showing on the counter is the number you need to knit before working the next wrap and turn.It’s the same with the second half of a short-row. 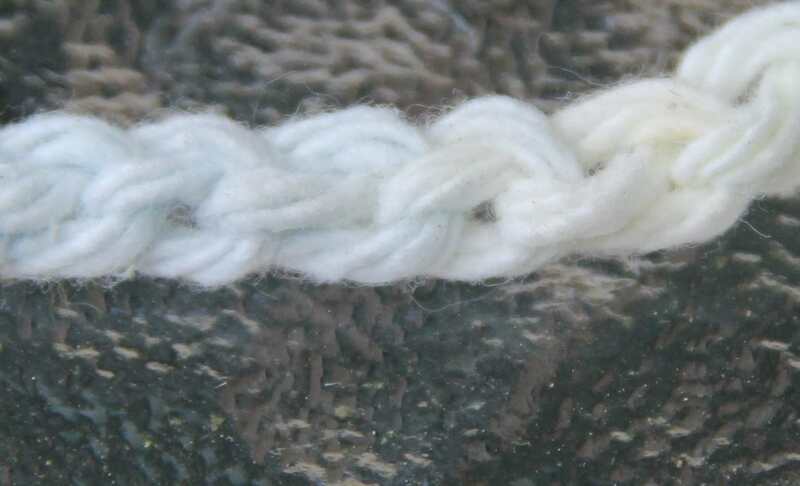 Use the counter again, only this time add one stitch after each wrap and turn. 2) Focus is life and death with short-rows. In addition to turning off television and radio it is strongly suggested to unplug from the internet, silence the cell phone (I know, this is a hard one, but steel yourself), cage or lock up in another room either yourself, the yarn loving pet, or other members of the household who cannot understand the magnitude of the task upon which you are about to embark. 4) If you are lucky enough to have everyone evacuate the vicinity in which you are knitting the short-rows, rest assured the universe has another way of getting to you: Mother Nature. 5) When working short-rows during a hurricane, do not select the top floor of the house as a place of solitude and peace. This is where the wind is the harshest and the sound of falling trees the loudest. While I found it completely unnerving when the walls shook and the roof cried as if it was going to blow off during the most recent hurricane, I did not, thankfully, lose count. When the tree crashed through the garage seconds later, however, short-row time was up. 6) Another place to avoid when seeking a tranquil spot for short-row work is the basement. Especially during heavy rains. Basements flood and sometimes they don’t do it slowly. Even with a working sump pump, water can get a little deep. While I find the sound of gently gurgling water relaxing, water suddenly pouring through the basement walls is ruinous to my counting. 7) Although I do not sit on railroad tracks knitting short-rows, I nonetheless heard a freight train coming my way one time while I was knitting short-rows. It was an earthquake. They are rare where I live. I desperately tried to focus on my counting and tell The Skipper to grab the dogs and stand in the doorway. I lost count. But, I began again and was at the half way mark when an aftershock occurred. Yep, back to the beginning. 8) If the blizzard of the century is on the way and your thinking what a great time this is to knit some short-rows, go with it. I did. When I finished the last stitch of the short-rows the lights went out. Yarn Rascal went wild. It was mayhem while The Skipper and I were fumbling around to find a flash light and not step on the dog. We eventually got our generator going. With the lights back on I took up my knitting only to find that Yarn Rascal had made short work of my short-rows. That’s when I learned Yarn Rascal has terrific night vision. Short-rows are a terrific way to construct toes and heels in socks, add interest to a knitted item, or add shaping to a garment. They really are worth all the fuss.